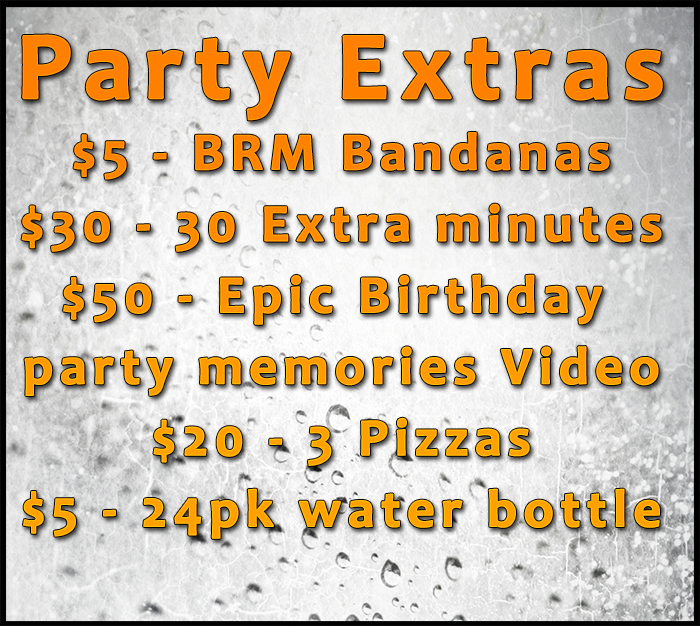 **Fees and charges** All listed fees and charges ARE INCLUDED in each party package total. Initial $50 dollar payment required at time of booking and reservation. We also require you to have a card on file with us to insure payment for the event. ALL Participants are required to have a waiver on file, prior to participation in Birthday parties. Adults and kids are welcome to participate and play around. If you haven’t signed yours yet, you can get it done early by going to the Member Login section on our site and making an account. What to expect with each option. – Expect a 10-15 minute warm up, with basic instructions on how to use the equipment properly and safely as well as the general safety rules. Then what follows will depend on the party option you choose. – Each party option allows 10 to 12 participants (as listed). Additional $5 charge per additional participant beyond those numbers. – Expect to have a great time! Ninja Warrior Obstacle course party: The theme is obstacle course. The gym will get rearranged and set up like an obstacle course and the kids will all get to compete and find out who the ultimate Blue ridge motion ninja warrior is. After they have completed the course they can use the facility as it is, see if they can beat their own times, or allow us to put some things back so the gym can be used for open gym more freely. Open gym party: The kids get free range of the facility, it’s obstacles, and equipment for games and activities. This time is supervised, and as needed coaches will help move basic stuff around such as mats and vault boxes.